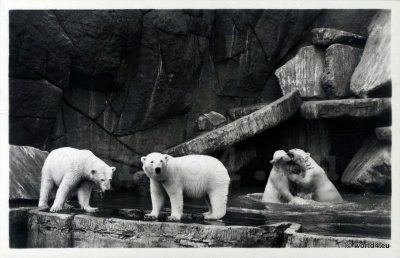 Polar bears at Hamburg Zoo 1930. Carl Hagenbeck’s famous Hamburg Zoo in 1930. The figure shows a group of polar bears.